Eye drops are used to treat a wide variety of conditions — from glaucoma and eye infections to allergies and dry eyes. In many cases, eye drops (or "eyedrops") are essential to preserving your vision and protecting your eyes. To get the greatest benefit from eye drops, you must use them properly. Whether you need one drop per day or 10, there's a right way and a wrong way to put eye drops in your eyes. Your eye doctor or pharmacist may give you instructions that are specific to the prescription eye drops you need. But in most cases, the proper technique for applying eye drops is the same, whether you are using prescription or over-the-counter formulas that you can purchase without a prescription. Failing to learn how to correctly put drops in your eyes not only can defeat the purpose of having them, it also can get expensive. Each time you miss your eye and have to use more drops than you should, it costs you money — potentially a lot of money in the case of some prescription eye drops. 1. Wash your hands with soap and water; then dry them with a clean towel. 2. If you are wearing contact lenses, remove them. The only exception is if you are using eye drops that are specifically formulated to remoisten your contacts or if your doctor advised you to use the drops in this manner. 3. Remove the dropper cap and look closely at the tip to make sure it's not cracked or otherwise damaged. Do not touch the tip. 4. Either lie down or tilt your head back, and look up at the ceiling. Concentrate on a point on the ceiling, keeping your eye wide open. 5. Place one or two fingers on your face about an inch below your eye; gently pull down to create a pocket between your lower eyelid and your eyeball. 6. Use your other hand to hold the eye drop bottle, pointing the tip downward. Resting your hand on your forehead may help steady it. 7. Hold the bottle close to your eye (about an inch away). Be careful not to let the dropper touch your eye or eyelashes, since this can introduce bacteria and other organisms into the eye drops in the bottle. 8. Squeeze lightly to instill one drop inside your lower lid. 9. Remove your hands from your face, gently close your eyes and tilt your head down for a few seconds. Try not to blink, as this can force some of the drop out of your eye before it has had a chance to be absorbed. 10. To keep as much of the drop on your eye as possible, press lightly on the inner corner of your eyelid, next to your nose. A small duct that drains tears away from your eye and into your nose is located here. By pressing at this point, you close down the opening of this drainage duct, allowing the eye drop to remain on the surface of your eye longer. This technique also minimizes the funny taste you may get in your mouth after applying certain eye drops. 11. Use a clean tissue to absorb and wipe away any drops that spill out of your eye and onto your eyelids and face. 12. If you are using eye drops on both eyes, repeat this procedure for the second eye. 13. Replace the cap of the bottle and screw it on securely. Never wipe the dropper tip with anything, as this may contaminate the drops. 14. Wash your hands to clean away any stray eye drops. Sometimes, you may be prescribed more than one type of medicated eye drop. But if you apply the drops too quickly in succession, they may drip out of the eye and not be absorbed properly, reducing the therapeutic effect. If you need to put a second eye drop in the same eye, wait at least five minutes. This will give time for the first drop to be fully absorbed and create more space for the second drop on the eye. If you use both a medicated eye drop and a lubricating eye drop on the same eye, many doctors prefer that you start with the prescription (medicinal) eye drop first and save over-the-counter products, such as artificial tears, for later. If you aren't comfortable putting drops in your eyes, a little practice can help you master the task quickly. Purchase a package of preservative-free artificial tears to use for practice. (Don't practice with prescription eye drops — you don't want to risk over-medicating.) Using a preservative-free formula eliminates the risk of you being allergic to preservatives found in many artificial tears. Also, choose a product formulated for mild dry eyes — these drops aren't as thick as those made for moderate or severe dry eyes, so they won't cause any temporary blurred vision. Ask a friend to coach you while you are practicing. In particular, have them help you position the applicator at the proper distance and location above your eye so the drops fall directly on the surface of your eye or in the space between your eye and your pulled-down lower lid. In less time than you might think, you will become a pro at applying eye drops. Also, it's a good idea to keep a supply of preservative-free artificial tears on hand. These drops can help relieve discomfort associated with computer eye strain and are soothing at other times when your eyes are tired or dry. Amy Hellem is a writer, editor and researcher who specializes in eye care and other medical fields. Sjogren's syndrome: What is it? Meibomian gland dysfunction (MGD): The cause of your dry eyes? Can Dry Eyes Cause Blurry Vision? Can Dry Eyes Cause Eye Pain? Can Dry Eyes Cause Headaches? Can Dry Eyes Cause Migraines? Can Medications Cause Dry Eyes? Can You Get Dry Eyes From Using A Computer Or Watching TV? 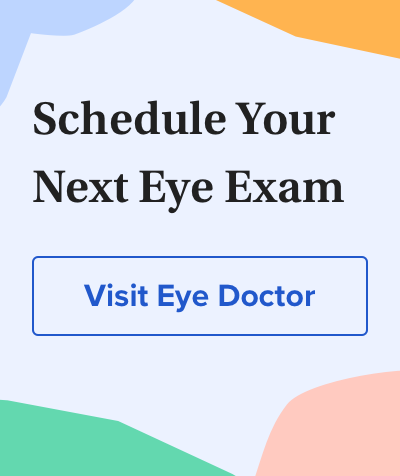 Does Cataract Surgery Cause Dry Eyes? What Are The Best Dry Eye Supplements?